Love is in the air! 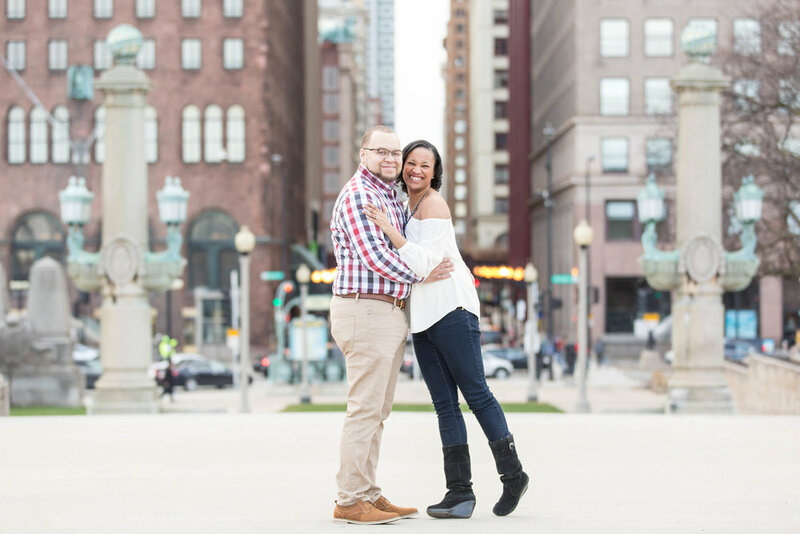 I had the pleasure of photographing Trevor and Megan this past week in Chicago. If you have been in the Chicago area the past few months, the weather is very unordinary. We lucked up with a warm day of 50 degrees. Woot Woot! Usually on a good day, tourist traffic can be extremely high but not a ton of people were at Millennium Park. You can say we had a perfect session! 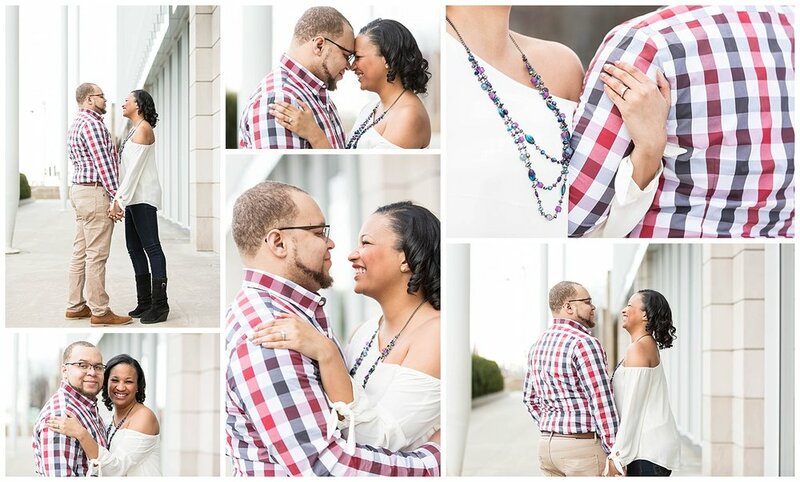 It's so refreshing when you photograph a couple that are genuinely happy. You can tell by the love in their eyes and the huge smiles you see below. 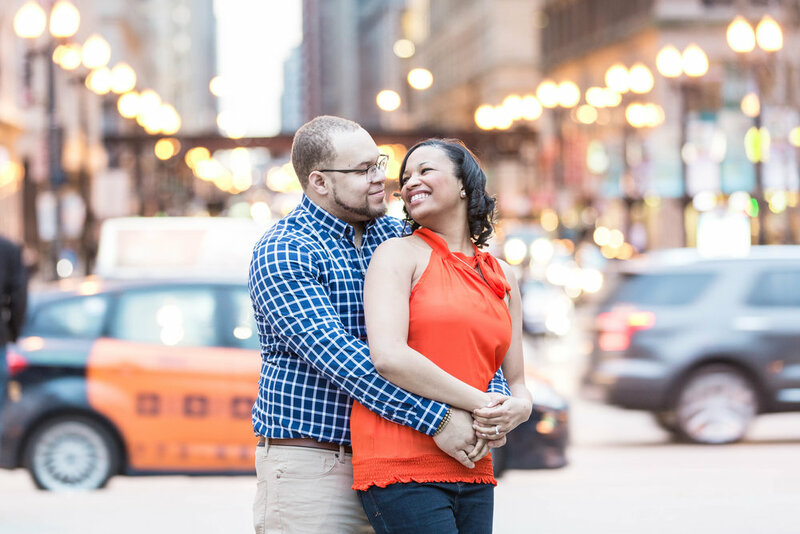 Trevor and Megan met while working in the Chicago Public School district. 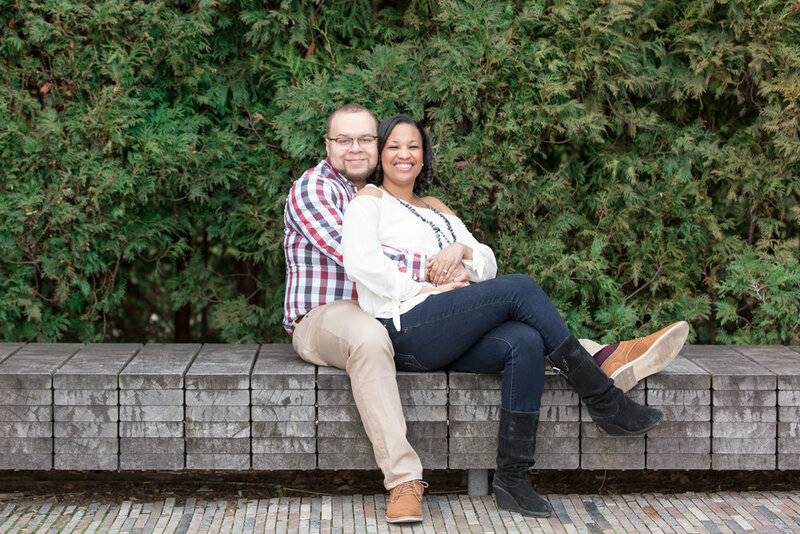 They started out as great friends over the school year and developed a special bond. They decided to take the friendship to the next level and it was magic ever since. These love birds got engaged on New Years Eve, December 31st, 2016. Trevor and Megan's special date has been set for June 2018!